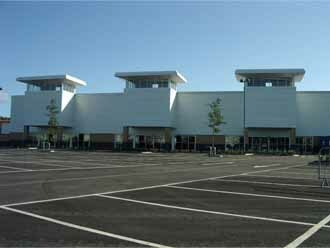 Work at Morfa Retail Park, Swansea. 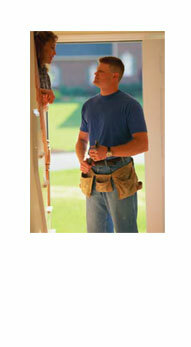 This was a very large project which we worked on. The massive steel frame building had to be divided up into 14 retail units by constructing jumbo walls between each unit. 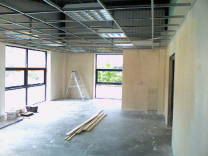 Some units also required suspended ceilings and mezzanine floors. The retail development is now the home of Boots, B&Q, TK Maxx, George, Next, Peacocks, Sports World, Brantano and Klausner. External view of retail development. 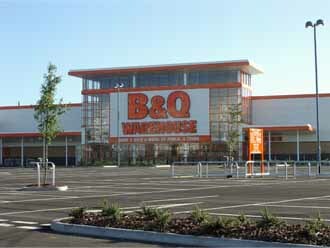 External view of B&Q where we completed jumbo walls. This is the largest B&Q store in Wales. 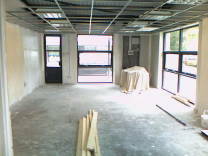 View of start of construction on internal partition walls. 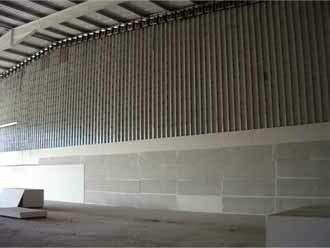 Another view of metal stud work for internal walls. 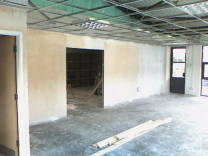 The completed wall fitted with plasterboard. 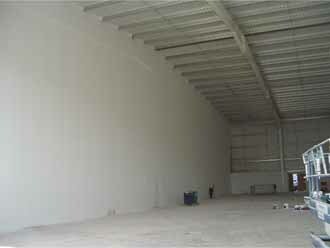 A medium sized unit had to be divided in two to form office space and warehouse space. 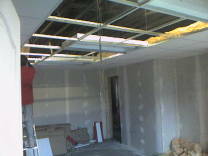 The office space required a suspended ceiling. 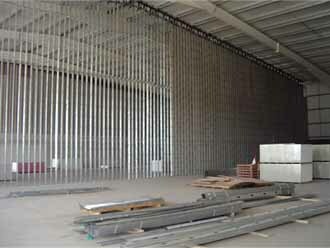 The warehouse needed a high partition wall with fireblanket. 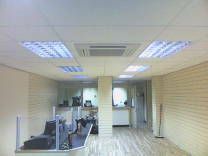 In 2002 we were part of a major contract for fitting suspended ceilings in post offices throughout South Wales.